Here are 2 Goniometers I made using completely different types of software. The first is V1, which was built with Flash and converted via Swiffy to HTML5. The second one V2 is built using Storyline’s dials. 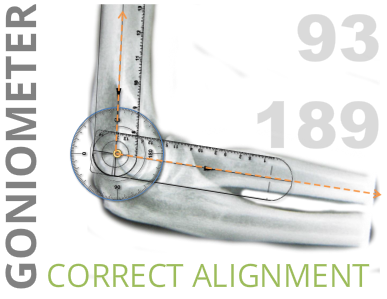 V2 is a goniometer that can correctly measure specific angles on an image. It relies on the dial mechanisms provided within Storyline 3.